If you have watched any televised cultural event chances are you have seen Nick’s handy work. Be it Live 8 or Children in Need the Olympic Games, Crufts via Trooping the Colour and Glastonbury. Nick is a leading editor planning, co-ordinating and ultimately delivering post production that has helped make these some of the most memorable TV moments of this Century. 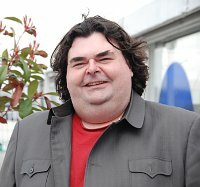 Known to many as ‘Chunk’ Nick has worked on a wide variety of Entertainment based programmes. Nick’s first excursion into project management was the move of Top of the Pops from the BBC’s Elstree complex, first to Riverside and then Television Centre. Organising and planning the transfer of a 7 day a week editing, duplication and standards conversion operation, producing 8 different branded programmes a week, and versioning them for over 100 Territories world wide, to a purpose built facility in the BBC’s post production centre. Whilst in China for the 2008 Bejing Olympics and Paralympics Nick oversaw the creation of three EVS server to tape edit suites, the heart of the the BBC’s fast turnaround editing operation. Nick has been instrumental in guiding many productions through the challenges presented by uplifting to High Definition. Able to operate many different editing platforms means that Nick can give unbiased advice on the right workflow and facilities for your production. Be it a documentary on Godzilla or Strictly Come Dancing his eye for the story and ability to find clear routes through the post production process make him an invaluable team member. When not editing, Nick can be found at St Mary’s stadium following his beloved Southampton FC.